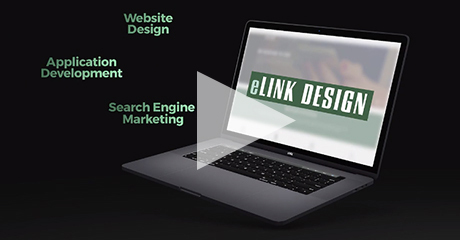 eLink Design provides an array of services to our clientele including: Web Design, Website Hosting, Intranet Development, and Application Development. While each service is approached with a different perspective in mind, as a whole they complement each other very well. The mainstay of eLink Design is certainly web site development. Having created, redesigned, or actively managed over 350 websites, we have the experience necessary to produce an effective web presence for our clientele. In addition to web development, we generally host the sites we create. Our hosting packages are comprehensive and designed with customer service in mind. Once a hosting client, you will have full and localized support should something need to be upgraded, modified, replaced, or if you just need help setting up an email address. We are always available to meet your needs for web site hosting, server colocation, dedicated rackspace, or offsite data backup. Our Intranet Development capabilities can ease your management dilemmas! Work smarter not harder is the motto that best applies to this area of development. We ourselves manage operations through an integrated Intranet that facilitates streamlined operations, coordinates communication with clients, helps to manage employees and resources, and much more. Customized application and Intranet development proposals are available upon request at no cost to your business. Application development should be undertaken with critical consideration of the clients' business model and specific and customized needs, and this is also an area where we excel.